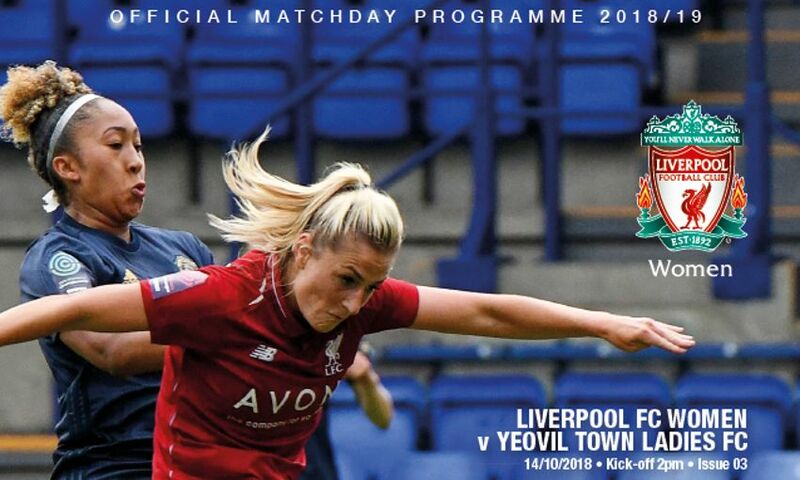 Liverpool FC Women host Yeovil Town Ladies in the Women's Super League at Prenton Park on Sunday afternoon - make sure you pick up an official programme if you're heading to the game. Kick-off is at 2pm BST and the official matchday programme will keep you informed and entertained with all the latest Reds news. Inside there are exclusive interviews with midfielder Laura Coombs, defender Satara Murray and striker Courtney Sweetman-Kirk. We also hear from team captain Sophie Bradley-Auckland in her skipper's column, plus caretaker-manager Chris Kirkland. We have the lowdown on our visitors from Somerset and all the latest match action, facts and statistics. With all this and much more, make sure you pick up your copy of the official matchday programme which will be on sale inside the ground, priced at £2.